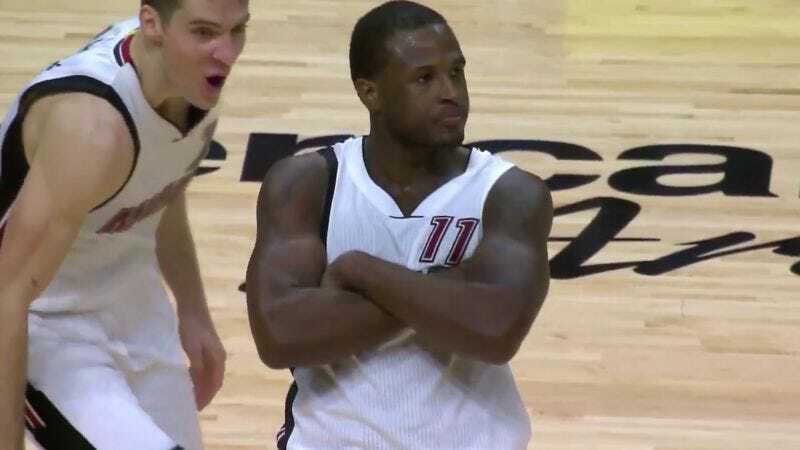 Miami Heat guard Dion Waiters has helped his team beat two opponents this week, both times with ill-advised, game-winning threes, and he’s feeling good. The situation reminds him of something a great thinker once said ... hold on, it’ll come to him. REPORTER: You always hear about guys in the zone. What’s it like to be in that zone and have that moment two games in a row? WAITERS: Oh man, I love that moment. I mean, you can never shy away from that. I just feel—one of my favorite quotes is, uh ... I forgot it already. One of my favorite quotes. But yeah, can’t be afraid of taking them shots. That’s the one. Love that quote.